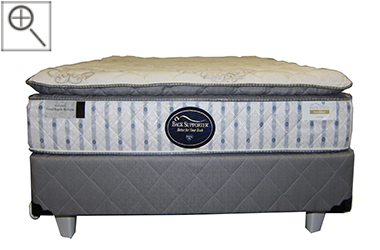 The Spring Air Divine Mattress features a luxurious pillow top, a Back Supporter build of zoned springs, a high coil count and Comfort Flex Foam. This particular model gives you a very soft feel but also a therapeutic level of support from its specialty inner spring unit. 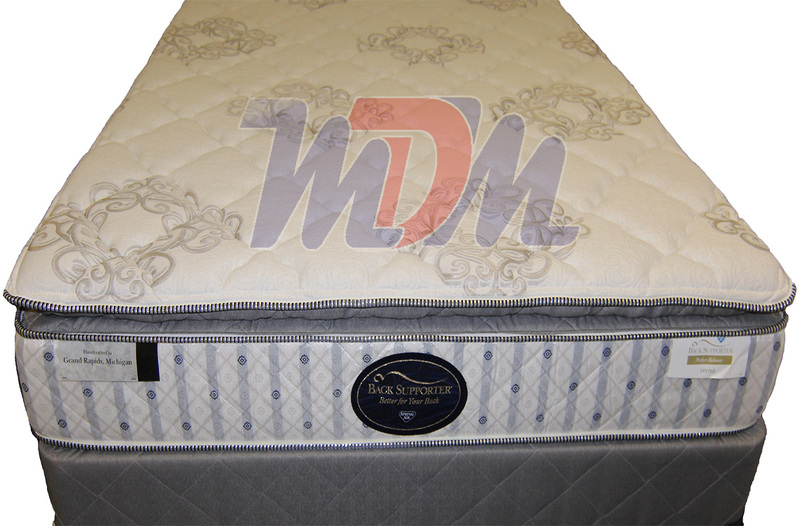 A best-selling model from many retailers, we've given you the cheapest price on a quality, major manufacturer's mattress set. 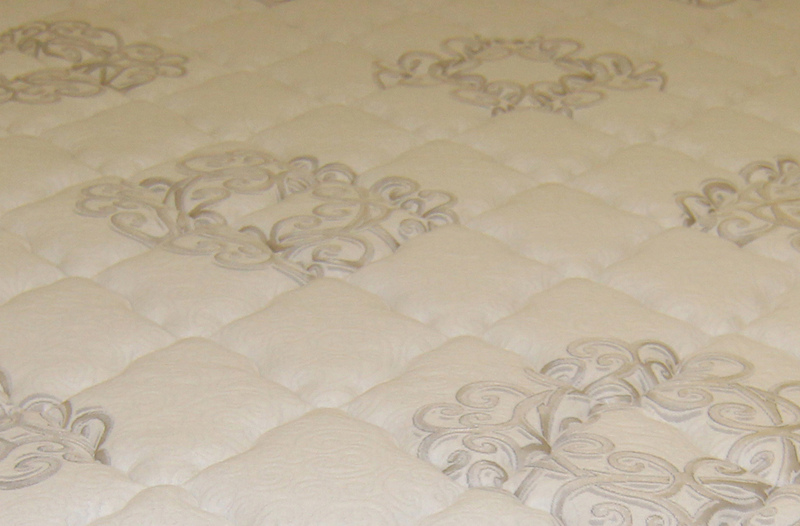 We are very pleased to introduce our line of Spring Air Mattresses. 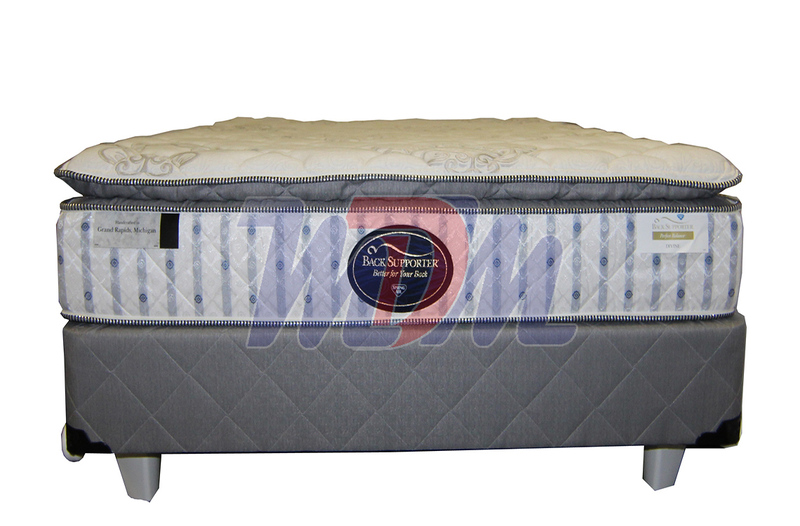 This manufacturer has long been trusted and respected in the mattress industry, as well as by millions of satisfied customers. Part of the reason for such long-term success is the company's emphasis on engineering and quality. A perfect example of that ingenuity is the "Back Supporter" series of mattresses, which the Divine belongs to. A moment or two testing this model out makes it very obvious that "Back Supporter" IS a fitting description - not a catchy moniker to add to a mattress set. Despite how soft the Divine is, for example, one can still feel the contoured support that the zoned spring system provides. If you like a mattress that feels as though it has some "give" but that is only giving that elasticity to the parts of your body in which you need it, this is the model for you. As they have done for years, Spring Air offers up a mattress with all of the great features - and even a traditionally stylish design - for a medium price range.